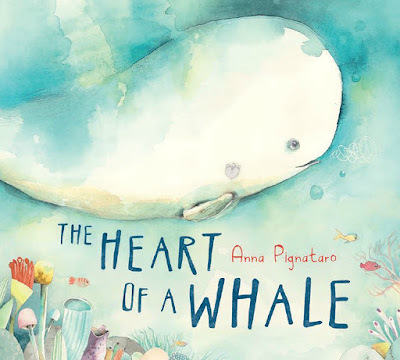 The Heart of a Whale is a children’s picture book written and illustrated by Anna Pignataro and published by Scholastic (2018.) RRP: $Au 24.99 HB. Whale’s song was so beautiful it could reach the furthest of faraways. It sang of happiness and hope, magic and wonder, always and everywhere. But Whale wishes with all his heart to find a friend somewhere in the vast, endless sea. Can his wish be carried over the ocean for someone to follow? This is a beautiful picture book, both in the way it looks and the text. Whale has a far-reaching song that does so much good in the underwater world. It settles a wriggly octopus, it cheers a sad urchin, it even provides a musical backdrop for a ballet of ocean flowers. But Whale himself knows there is no song that can fill his empty heart. Can his loneliness be assuaged? Pigntaro has used watercolours to great effect in the watery landscapes. Sea creatures glow against a blurred blue backdrop. Fronds and fish drift with the tide, and it seems we can almost hear that eerie whale music. 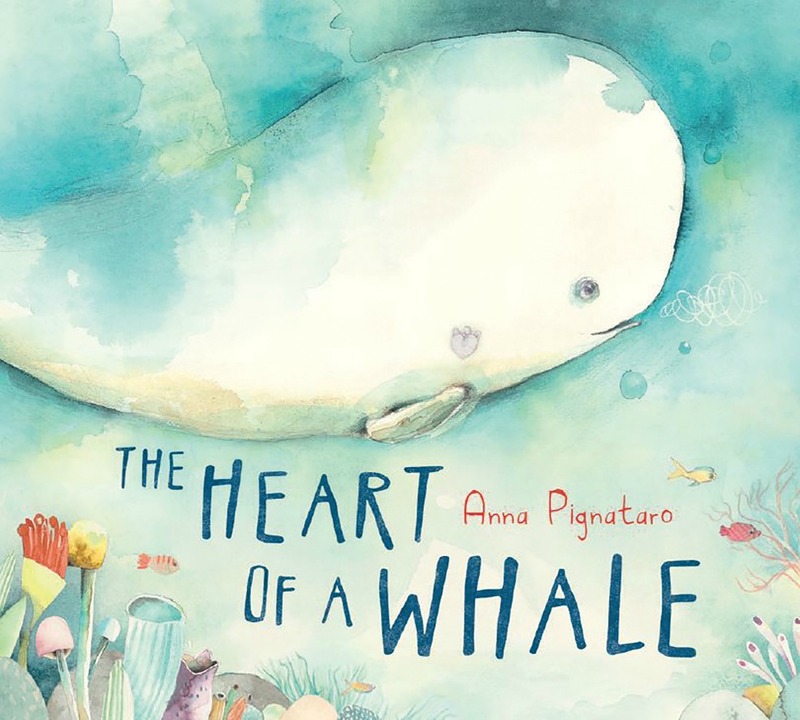 The Heart of a Whale is a lyrical and heart-warming story that will appeal to different aged children, and indeed to their parents, for different reasons. I hope you’ll grab it soon for the children you know who appreciate beautiful things.